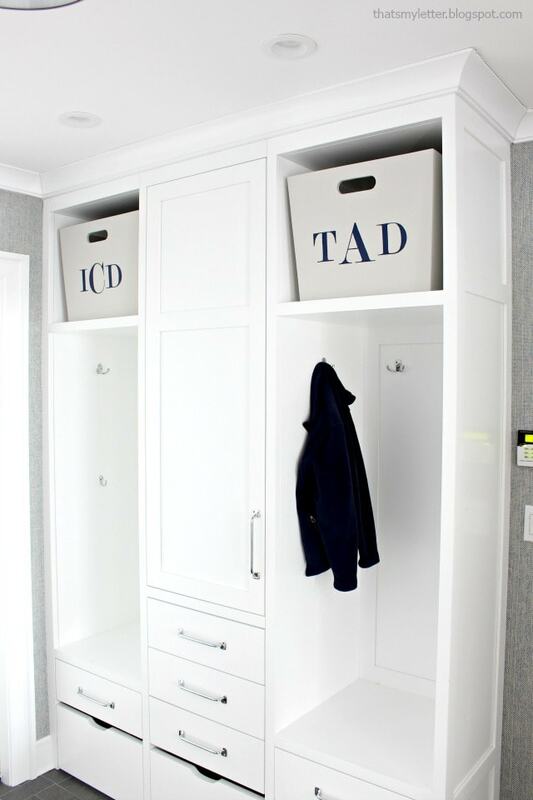 Since everyone is getting organized it’s the perfect time to post these DIY mudroom bins I just finished for a friend. 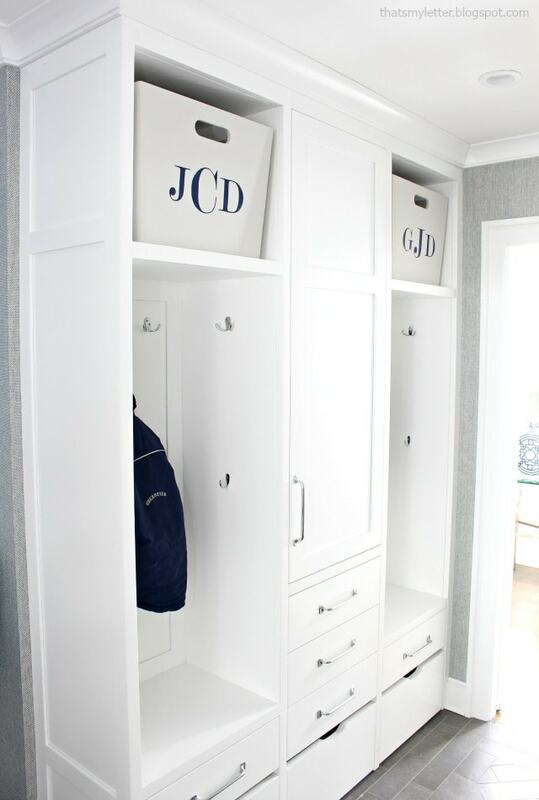 Her mudroom space is over the top gorgeous I must say and now with the monogrammed mudroom bins in their new homes it’s completely beautiful! 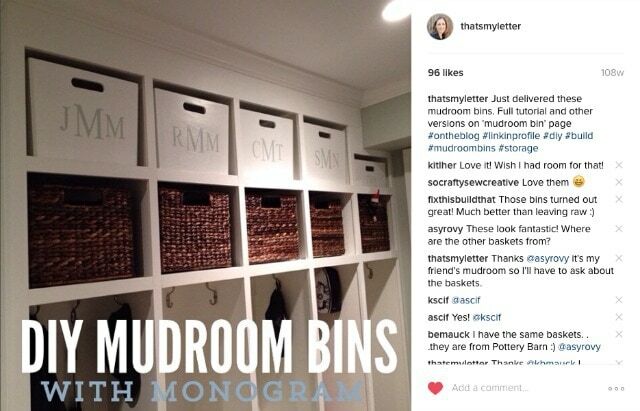 I think as long as I have friends with mudrooms I’ll be building mudroom bins. 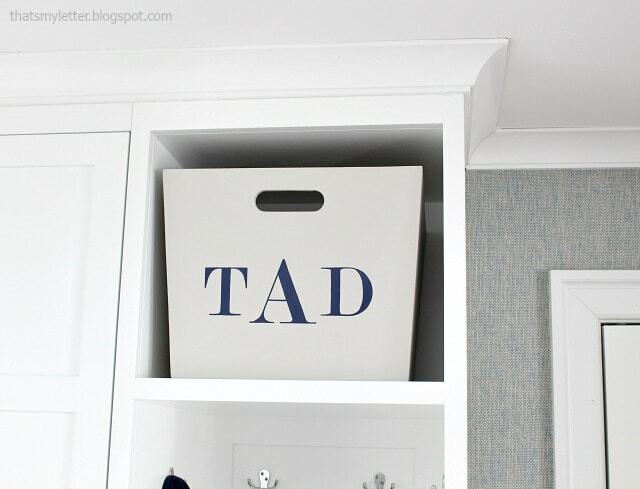 Baskets work too but sometimes it can be difficult to find just the right size. 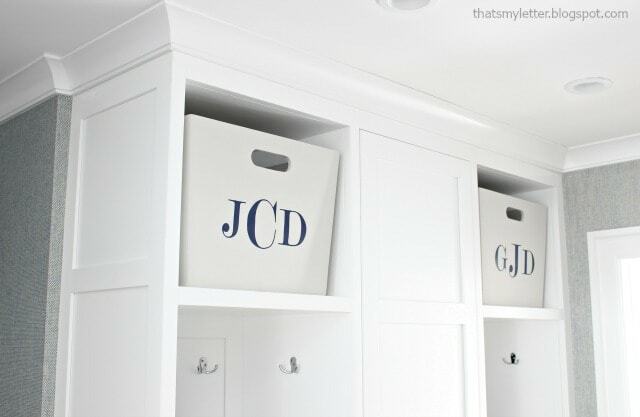 Building your own bins insures a custom fit and there is something special about having the individual monogram for each cubby. These bins are rather large but they are meant for off season storage and rarely used items that can be put up and out of the way. We decided to make each larger middle initial the child’s first name, I know it’s probably not proper monogram etiquette but it works for this situation. 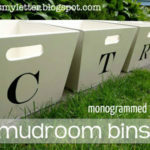 I’ve built a lot of mudroom bins in the past, many variations and sizes and you can see them all here if you’re looking for ideas. 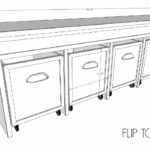 I put together simple plans for these mudroom bins here, be sure to measure you space and adjust accordingly to make your bins fit. 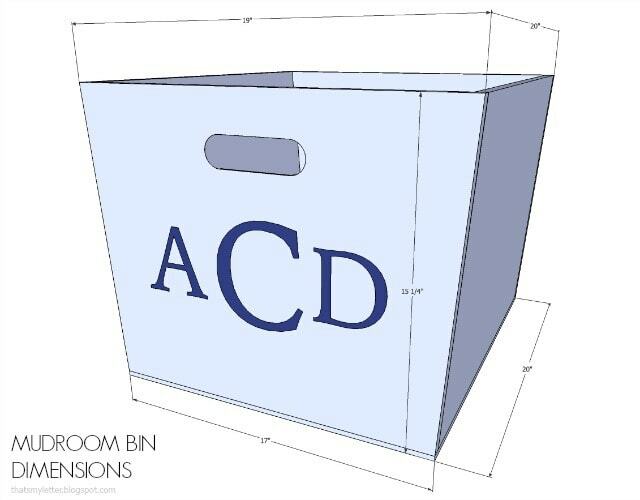 You’ll want a 1 inch clearance on both sides and at least an 1″ of breathing room at the top, more if your bins are bigger and higher off the ground. 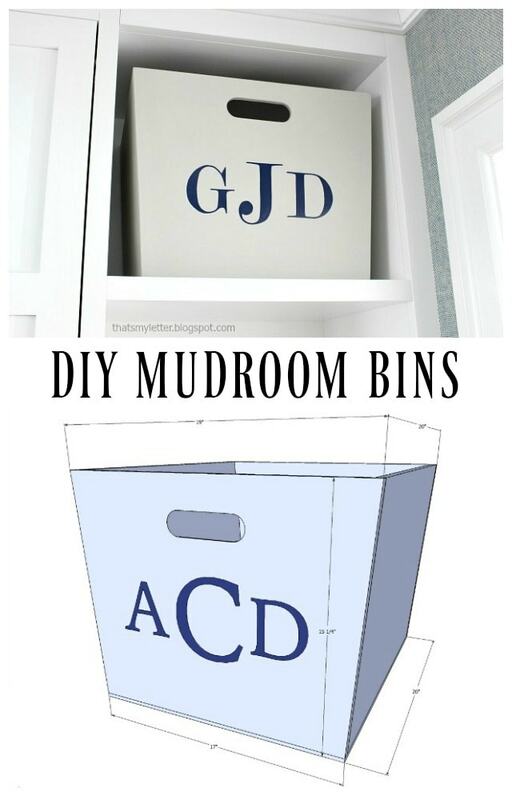 Click here for free printable plans to build these mudroom bins. 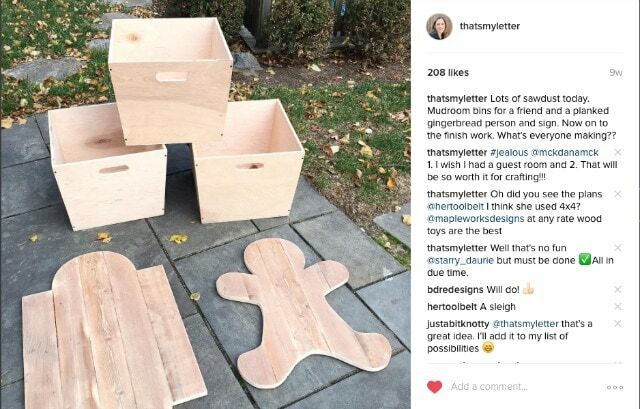 I built these bins right before Christmas along with a bazillion other projects and I’m afraid I forgot to stop and take pics! 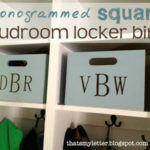 The bins are primed with oil based Zinsser and then painted using Benjamin Moore Aura color Nimbus in eggshell finish. 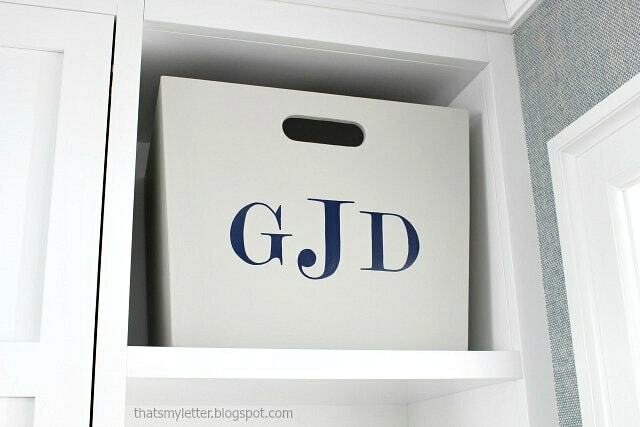 The monograms are handpainted with Benjamin Moore high gloss enamel color Bold Blue. I also attached white felt to the bases using spray adhesive so the wood doesn’t scratch the built-ins. 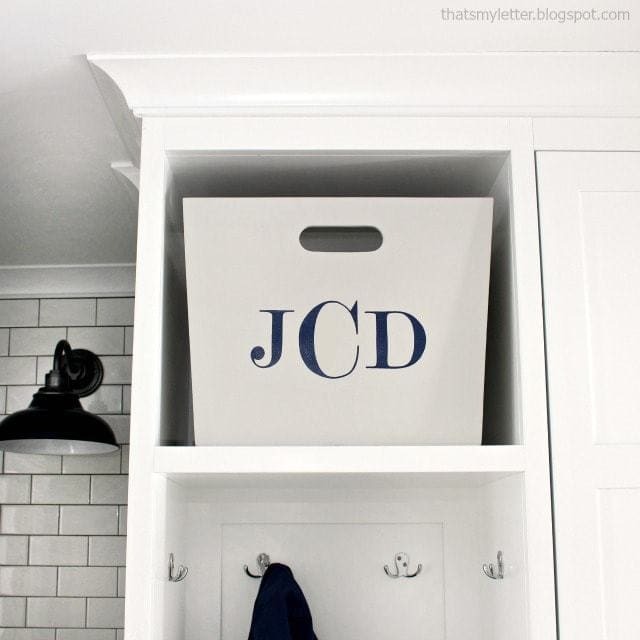 January is for storage solutions and this happens to be one of my favorites, hope your 2017 is off to a great start! You just made my day. 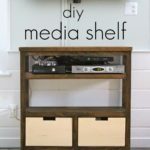 This is precisely what I need for the cubbies under our fireplace – to hide away all the "stuff" I like to have there but is ugly. They are weird sizes and nothing quite works. Thanks!